The Nigerian military says it knows the location of the kidnapped Christian girls being held by Boko Haram. 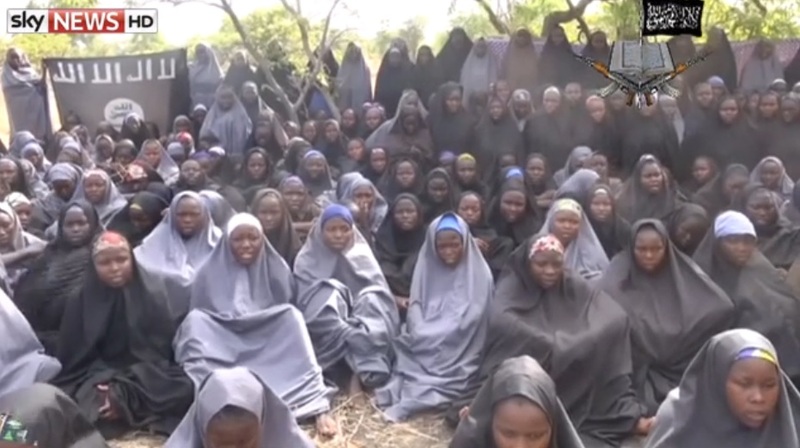 Several dozen of the kidnapped girls were last seen in a video wearing hijabs. A top Nigerian military official believes he knows the whereabouts of girls kidnapped last month, but he says the nation’s military will not use force to try to rescue them, a state news report said Monday. “We want our girls back. I can tell you that our military can and will do it, but where they are held, can we go there with force?” asked Air Chief Marshal Alex Badeh. His comments were reported by the News Agency of Nigeria, a state-run news service. Badeh continued: “The good news for the parents of the girls is that we know where they are, but we cannot tell you. “We cannot come and tell you the military secret, just leave us alone, we are working to get the girls back,” he reportedly said. In response to the news, Pentagon spokesman Adm. John Kirby told CNN U.S. officials were not able to confirm the report.